“My Precious! 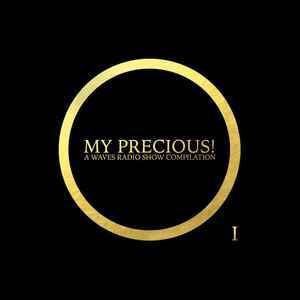 A Waves Radio Show Compilation 1" is a compilation presented by the WAVES radio show, and released by Red Maze Records, both based in Brussels, Belgium. The curators, Fernando Wax and Phil Blackmarquis, selected new, exclusive and unreleased gems from favourite bands and artists in the wave / post-punk / synth / electro / ambient styles. The vinyl comes in a limited edition (600 copies). The cover features a screen printing (serigraphy). Curated by Fernando Wax & Phil Blackmarquis. WAVES is a radio show broadcast on Radio Vibration in Brussels, Belgium. It is dedicated to new-wave, minimal synth, electro-wave, EBM, post-punk, etc. It is hosted by Fernando Wax, Phil Blackmarquis and Pierre Sensurround.